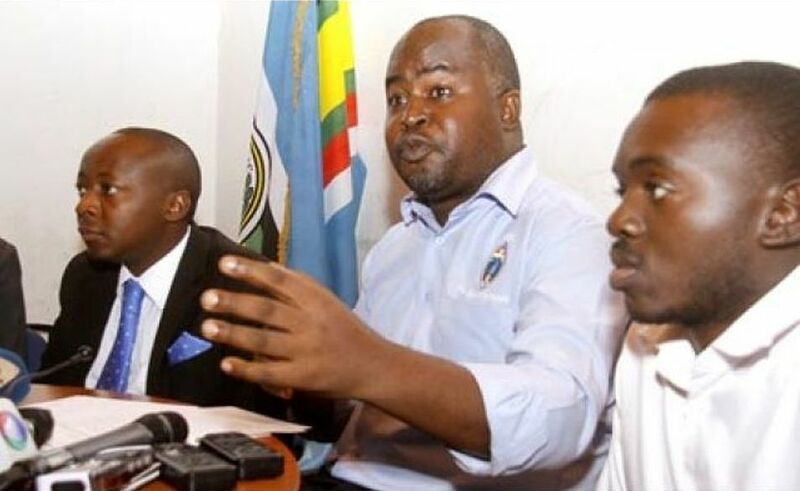 KAMPALA – The Opposition Forum for Democratic Change (FDC) party has apologized to the media fraternity after its members on Monday assaulted journalists who had gone to cover the weekly press conference at the party headquarters in Najjanankumbi, a city suburb. The apology came through Mr Harold Kaijja, the party deputy Secretary-General. “Dear colleagues I have learnt of the uncivilized scenes at our party headquarters where errant individuals mistreated some journalists. As a party, we can’t accept such savage behaviour even towards our perceived opponent, the brief statement reads in part. The journalists were allegedly assaulted by a one Moses Mutumba and a certain George. The two are said to have locked up several journalists inside the conference room after realising that Mr Ibrahim Ssemujju Nganda, the party spokesman, who was slated to address the journalists, would not show up. Mutumba allegedly declined to let them move out of the room despite demands from journalists who had already moved out. The journalists had earlier expressed anger over the party’s failure to alert them that the press briefing had flopped.